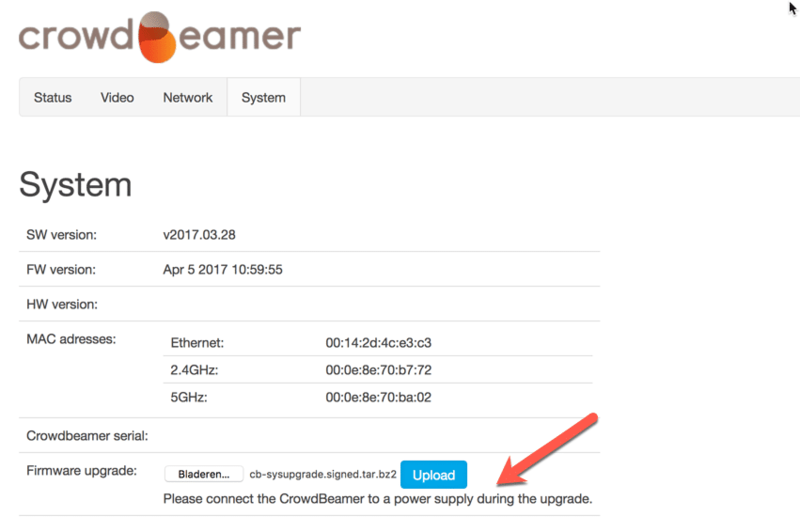 How to perform a semi-automatic upgrade of the crowdbeamer firmware? How to perform a semi-automatic upgrade of the crowdbeamer firmware? 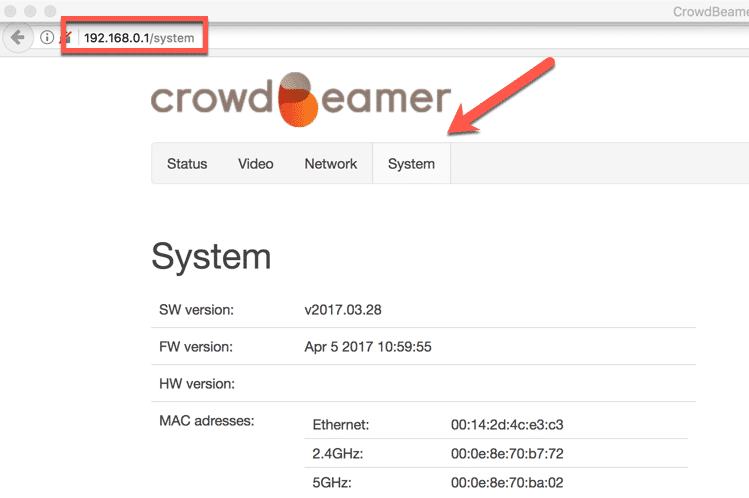 How to perform a semi-automatic upgrade of the crowdbeamer firmware? Go through the steps below to perform a semi-automatic upgrade of the crowdbeamer firmware (the device will fetch the latest firmware for you). Click on the images to view an enlarged version. 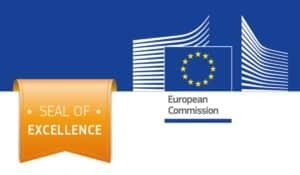 To perform a manual upgrade of the firmware, please check this knowledge base topic. Connect your crowdbeamer to a Local Area Network (LAN) by plugging in an Ethernet cable. 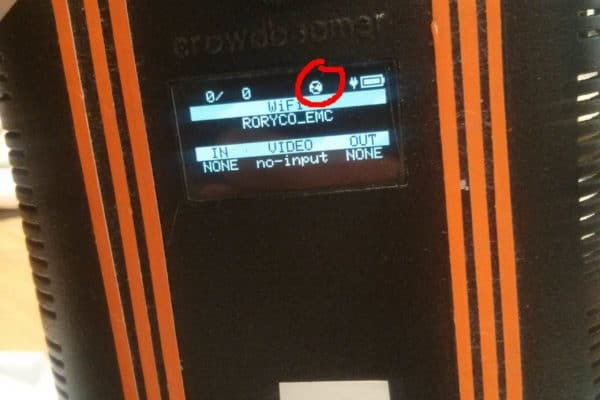 Wait for the OLED display to confirm network connectivity until a globe icon is shown in the upper right part of the OLED display. 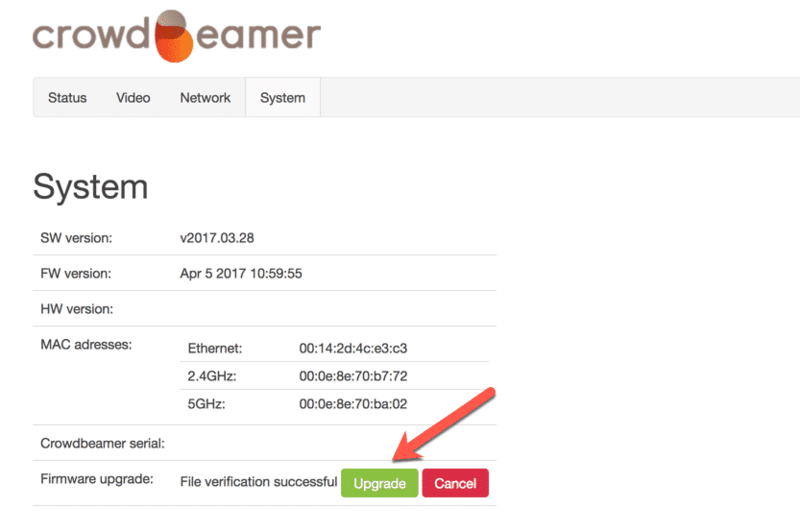 If the latest firmware version is already installed on your crowdbeamer, a message “Already at latest version” is shown and the “Upgrade” button is greyed out. No further steps are required. 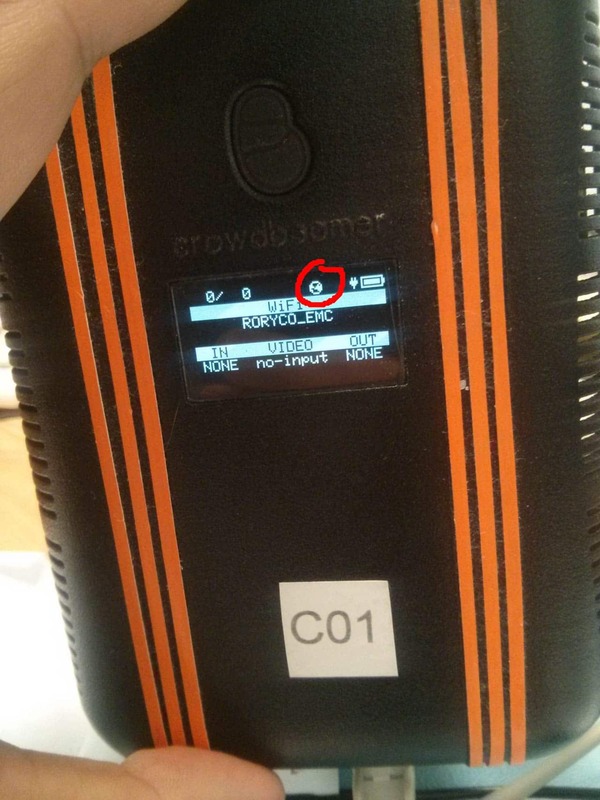 If not, a message “Newer firmware available” is displayed next to a green “Upgrade” button. Proceed with the next step.